There are very few people in the world who have never experienced heartburn during his lifetime. Actually they are the lucky one because now heartburn is a very common problem for both male and female.This article you will know ,how to get rid of heartburn fast . Actually there are no relation between the heartburn and the original meaning of heartburn. Heartburn refers a burning sensation in the chest. The position of this pain is, behind the sternum bone or breast bone. Sometimes this pain can extend up to the throat. After taking food, it go to stomach for digestion. Before going there, foods pass a sphincter called esophageal sphincter. This sphincter allows only downward movement of the foods. But sometimes this sphincter doesn’t work properly and food content goes upward. We all know that, there is a strong acid present in the stomach and this acid called HCl. This HCl also goes upward along with food contents and produce a burning sensation. This burning sensation is termed as heartburn. In medical term it is also known as pyrosis or acid indigestion. Actually heartburn is one of the main symptoms of GERD (gastro esophageal reflux disease). 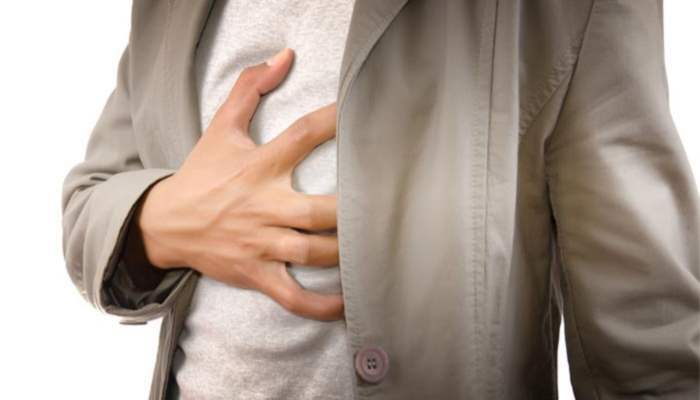 How to get rid of heartburn fast? Getting rid of heartburn is very easy because you have lot of option to diminish this pain. We can divide those options in three categories.1. Natural remedy. 2. by using over the counter drug. 3. By following some preventive measure. Don’t bend when you feel heartburn: Try to stand or take a walk when you feel heartburn because if you bend than heartburn can be worsen. When you are in standing position, this acid will falls downward due to gravity. Cold water is a very useful remedy which can minimize heartburn a lot. Water has the ability to dilute acid and decrease the strength of it. So immediately after feeling heartburn, drink a glass of cold water. Surely it will help you a lot. Ginger is very useful because it can relax the esophageal muscle. So the chance of acid to going upward will be decrease. Simply take a teaspoon of grated root ginger and mix it a cup of hot water. It is another way that you can try. Make a juice by mixing 2tbsp of lemon and 2tbsp of honey with a glass of water. Then add a pinch of salt which help to neutralize the acid. Antacid is best when already you are suffering from heartburn. Antacid tablet contain alkali that neutralize acid very fast. It works slower than antacid but its affect is long lasting. It blocks histamin-2 receptor so HCl secretions decrease from the gastric parietal cell. proton pump inhibitor, inhibit the secretion of HCl from stomach. But like H2 receptor blocker, it will work more if you take it before 30 minutes of taking meal. If you are more than 50, it is best not use this drug. Some factor which can aggregate heartburn so you should avoid that factor. Try to avoid eating too much spicy food. Some food acts as a trigger for heartburn. You should identify that food and avoid them as much as possible. Usually chocolate, tomato, fatty food, spicy food, fast food may act as a trigger for heartburn. Study shows that, obese person are more sufferer than the person whose body weight is normal. Because excessive body weight produces more pressure on the stomach so try to control your body weight. Leave smoking: smoking can make your heartburn more painful. So try to avoid smoking completely, at least leave smoking during the period of heartburn. we hope, if you follow above mentioned tips than surely you will get benefit. But if you face heartburn frequently than you should visit doctors chamber for actual diagnosis.